Updated Saturday April 6, 2019 by Red Circle Hockey Club. We know with the season wrapping up, most are enjoying the well deserved break. We would also love everyone to remember that our association runs completely through the hard work and dedication of volunteers. We are also in need of more. Take a look at our list of positions always available and let us know if there is anything you would be interested in helping out with during our 2019/2020 season. We thank you, and all of the kids thank you!! COACHES & ASSISTANTS - All our volunteers dedicate themselves to the tasks of teaching the game of hockey while ensuring a fun and safe atmosphere. Register today by simply clicking on the RED COACH REGISTRATION button on the left of the website. New to coaching or think your police check will be due ? (they are good for three years) you can simply apply online at London Police Services (or the town you live in). Better to get it taken care of over the summer when the wait times are low. CONVENORS - Convenors are in charge of an entire division. Watch games, field questions, and deal with complaints. They call coaches and organize evaluations and maintain stats for their divisions. Help ensure equal opportunity regardless of ability. You have the support of Hockey Operations at all times. BINGO NIGHTS -Our Bingo Fundraisers help us to raise money for the organization and keep costs down. We need volunteers to assist running our Monthly Bingo Nights. Just once per season as your small contribution to the league goes a long way. Submit your name on our "contact us" page and the Bingo Night Coordinator will be in touch and schedule you in. These nights are extremely valuable to our organization and all funds raised go directly towards reducing ice time fees across all divisions. BOARD OF DIRECTORS - They are comprised of nineteen individuals and are elected by members at our Annual General Meeting. Each year nine of the board positions become available. Each of them for a two year term. Board members meet a minimum of once a month throughout the year to run the organization. If you wish to become a Board Member, you must be elected. Our next AGM is Sunday April 7th at 10:00 am with registration beginning at 9:30. You can download the form required under League Infomation (a drop down menu will appear) and then renewal form $10 fee will be required to become a paid member. If you are looking for a way to complete your volunteer hours consider helping the Red Circle Organization. We have countless opportunities throughout the year. Please send us an email through the "contact us" section. Volunteers are always needed for our organization. 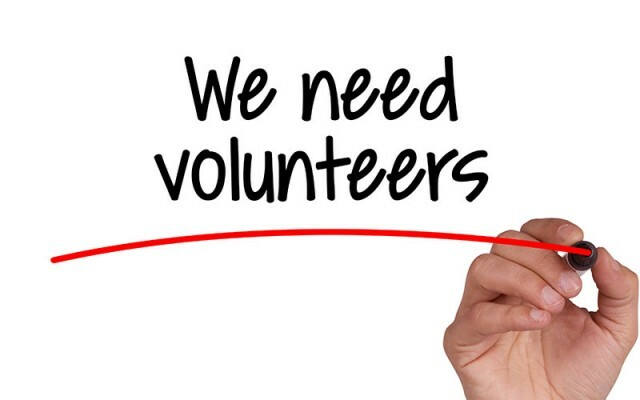 Anyone wishing to volunteer for the upcoming season or wanting any further information please send us an email through the "contact us" section.